Japanese gaming site 4Gamer has managed to get a scoop from AMD’s David Wang (Senior Vice President of Engineering for Radeon Technologies Group) about the company’s plans to support DXR or DirectX Raytracing in games. According to Wang, the company does not have plans to support DXR at this point in time until it becomes available across their entire product line – from the low end to the high end. Now here’s the thing, DXR is essentially an implementation that utilizes a certain hardware feature level. So far, up till 12_1 feature levels have been officially announced and most of AMD’s GPUs are on 12_0. NVIDIAs Pascal is 12_1 and Turing is probably even higher on an as of yet undeclared feature level. Now there is some debate whether Turing’s hypothetical 12_2 feature level (or whatever higher number is allocated, could be 13_0 as well for example) is required to support DXR or it can run on 12_1 as well just fine. In any case, it does not look like running it on 12_1 without dedicated raytracing cores will be feasible from a performance point of view and it is doubtful the IHVs would allow that. What this essentially means is that trying to implement DXR on anything other than 12_2/13_0 would result in significant performance costs. On the other hand, NAVI is due in less than a year and that is brand new IP. Depending on whether AMD managed to make that 12_1 (or greater) the company could easily support DXR in the future, but with a big performance cost – unless they managed to squeeze in raytracing cores (which is unlikely). That said, from what we have been told, the first Navi GPU to arrive will be a mainstream part and will have Vega 56 like performance, which is barely enough to sustain the heavy performance requirements of DXR. So, AMD might actually make the strategic decision not to support it till heavy hitters like the Navi 20 arrive much later (and even then they might not because of the performance impact associated with enabling DXR without dedicated RT cores). The biggest implication I can think of is that future consoles like the PS5, which are always based on AMD tech, will probably not be supporting DXR either. 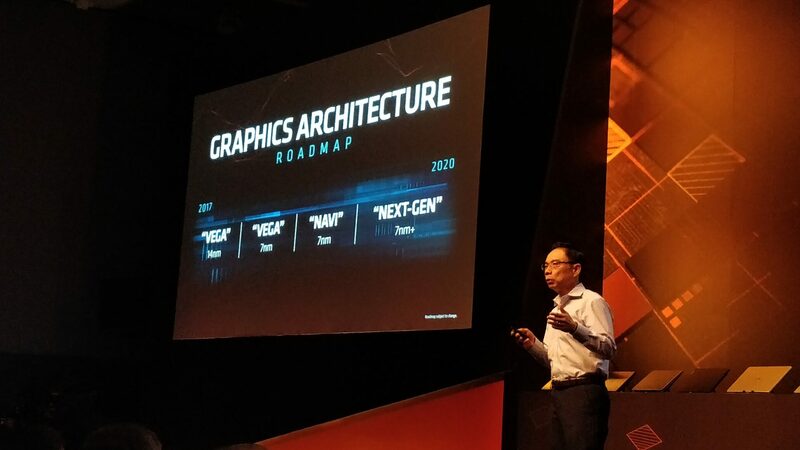 In fact, your best bet for DXR in a Radeon card is what AMD has planned as a follow up to NAVI: the architecture formerly codenamed KUMA, now dubbed simply as “Next-Gen” and will almost certainly be a feature level 12_2 or higher architecture. As I said in my cost of zen story published a few months back, it makes financial sense for the company to do what its doing – namely focus on developing Zen and the surrounding ecosystem while maintaining a hold over the mainstream portion of the graphics market – and attempt a comeback to high-performance graphics sometime later down the line.